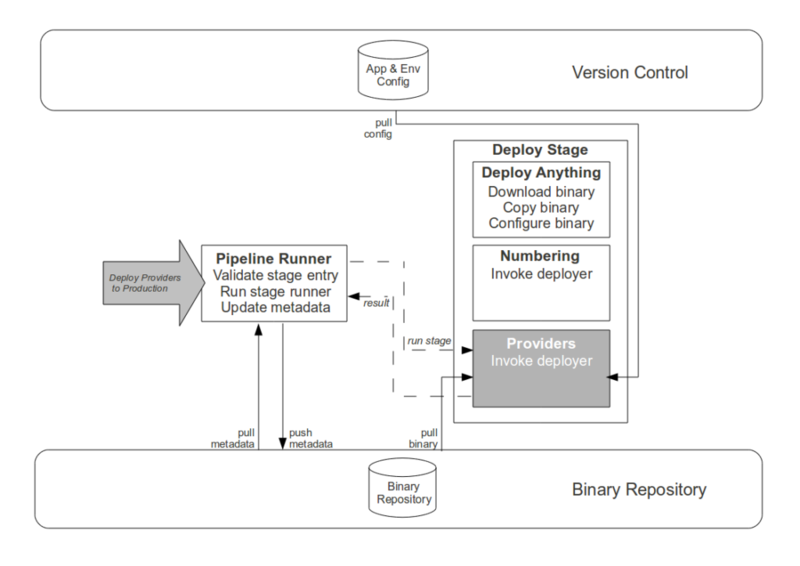 When our Continuous Delivery journey began at Sky Network Services, one of our goals was to introduce a Repeatable, Reliable Process for our Landline Fulfilment and Network Management platforms by creating a pipeline deployer to replace the disparate Ruby and Perl deployers used by Development and Operations. The combination of a consistent release mechanism and our newly-developed Artifact Container would have enabled us to Bring The Pain Forward from failed deployments, improve lead times, and easily integrate future greenfield platforms and applications into the pipeline. However, the simultaneous introduction of multiple business projects meant that events conspired against us. Over a period of months, it became apparent that this approach was far from ideal for Operations. Each Landline Fulfilment platform release became a slower, more arduous process as the Perl deployer had to be accompanied by a TeamCity button for each greenfield application. 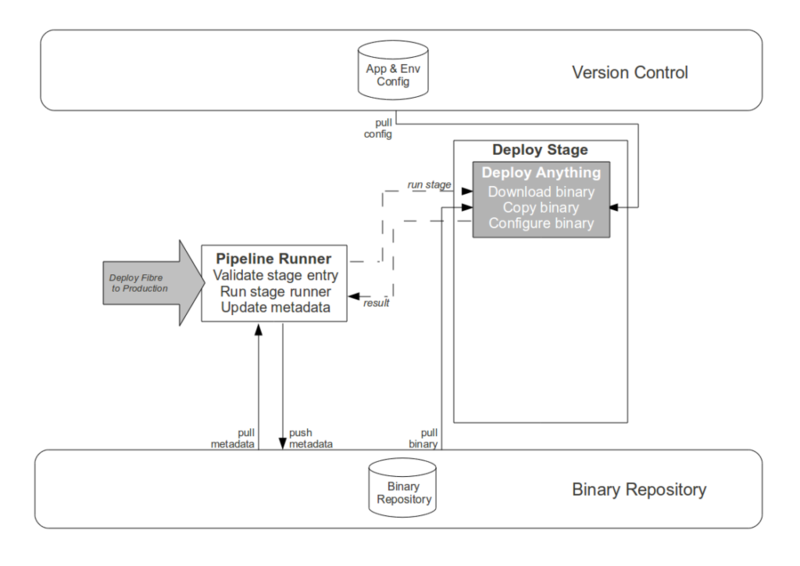 Not only did these extra steps increase processing times, the use of a Continuous Integration tool ill-suited to release management introduced symptoms of the Deployment Build antipattern and errors started to creep into deployments. While Landline Fulfilment releases operated via this multi-step process, a pipeline deployer was developed for the greenfield application platforms. The Landline Assurance, Wifi Fulfilment, and Wifi Assurance technical teams had no time to spare for release tooling and immediately integrated into the pipeline. The pipeline deployer proved successful and consequently demand grew for the pipeline to manage Landline Fulfilment releases as a single aggregate artifact – although surprisingly Operations requested the pipelining of greenfield applications first, due to the proliferation of per-application, per-environment deployment buttons in TeamCity. A migration method was therefore required for pipelining the entire Landline Fulfilment platform that would not increase the risk of release failure or incur further development costs, and with those constraints in mind we adapted the Strangler pattern for Continuous Delivery as the Stage Strangler pattern. First coined by Martin Fowler and Michael Feathers, the Strangler pattern describes how to gradually wrap a legacy application in a greenfield application in order to safely replace existing features, add new features, and ultimately replace the entire application. By creating a Stage Interface for the different Landline Fulfilment deployers already in use, we were able to kick off a series of conversations with the Landline Fulfilment technical teams about pipeline integration. We began the Stage Strangler process with the Fibre application deployer, as the Fibre team were only too happy to discard it. We worked together on the necessary changes, deleting the Fibre deployer and introducing a set of version-toggled pipeline deployment buttons in TeamCity. The change in release mechanism was advertised to stakeholders well in advance, and a smooth cutover built up our credibility within Development and Operations. While immediate replacement of the Numbering application deployer was proposed due to the Deficient Deployer antipattern causing per-server deployment steps for Operations, the Numbering team successfully argued for its retention as it provided additional application monitoring capabilities. We updated the Numbering deployer to conform to our Stage Interface and eliminate the Deficient Deployer symptoms, and then wrote a Numbering-specific pipeline stage that delegated Numbering deployments to that deployer. The Providers team had invested a lot of time in their application deployer – a custom Maven/Java deployer with an application-specific signoff process embedded within the Artifactory binary repository. Despite Maven’s Continuous Delivery incompatibilities, build numbers being polluted by release numbers, and the sign-off process triggering the Artifact Promotion antipattern, the Providers team resolutely wished to retain their deployer due to their sunk costs. This resulted in a long-running debate over the relative merits of the different technical solutions, but the Stage Strangler helped us move the conversation forward by shaping it around pipeline compatibility rather than technical uniformity. We wrote a Providers-specific pipeline stage that delegated Providers deployments to that deployer, and the Providers team removed their signoff process in favour of a platform-wide sign-off process managed by Operations. 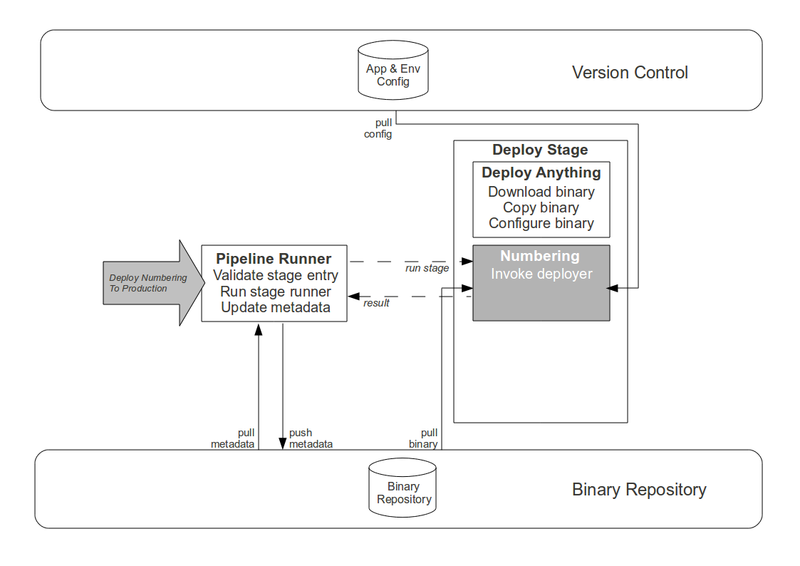 As all greenfield applications have now been successfully integrated into the pipeline and the remaining Landline Fulfilment legacy applications are in the process of being strangled, it would be accurate to say that the Stage Strangler pattern provided us with a minimal cost, minimal risk method of integrating applications and their existing release mechanisms into our Continuous Delivery pipeline. The use of the Strangler pattern has empowered technical teams to make their own decisions on release tooling, and a sign of our success is that development of new pipeline features continues unabated while the Numbering and Providers teams debate the value of strangling their own deployers in favour of a universal pipeline deployer. 2 November, 2012 at 11:53.